Iron ore miner Grange Resources has warned that it might be forced to cut jobs in order to reduce costs and rescale operations this year as a result of low iron ore prices. The company is a specialist producer of high-quality iron ore pellets that are used in steel production. “Additionally, the Company has realised significant cost reductions throughout 2015, and continues to strive for further cost reductions in the current iron ore market,” the company said. 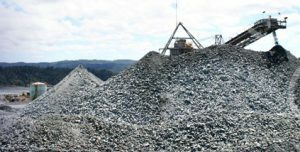 Grange Resources owns the active Savage River iron ore mine in Tasmania. The mine is located 100km southwest of Burnie. The company also operates a pellet manufacturing facility near the mine.